. . . continued from Monday, and entirely appropriate for Halloween. Balfour’s footsteps had led him to this passage outward toward a world beyond the fog, and he was determined to take it. But it was a strange passage. Balfour moved forward to touch the wall at his left and found it solid. The half-timbers were soft with age, but real; the brick infill was cracked and seamed, but real. The London Bridge of 1850 was a span of steel supported on five stone arches. There had been a time, a brief year, when a man could walk across it and look downstream to the medieval bridge it had replaced, before that rotted hulk had been torn down. The medieval London Bridge had so many arches that their combined resistance backed up the Thames. In flood time, the wider central gap erupted such a torrent that boats could not pass. On the bridge, over the centuries, houses, businesses and chapels were built until only a single narrow lane remained for human passage. The house beneath Balfour’s hand was medieval in structure and in its state of decay. The roadway beneath the skiff of snow was the macadam of 1850. The path out over the Thames was narrow and dark. He walked forward. The houses did not make a continuous line on either side, as the true medieval bridge had done, but left wide openings, first downstream, then up. Balfour could hear the Thames below, flowing quietly at first where the bridge arched high above, then grumbling when it had to force its way around a pier. The medieval buildings passed by him in the fog as he moved forward, but he did not turn aside again to examine them. He did not care about their mysteries. He only wanted to cross and see if London still extended beyond the river and the fog. Ancient decay flanked him. Modern industry held him up above the water. His breath frosted the air before him, and the fog about him glowed as if there were moonlight. He walked until he had surely reached the middle of the river. A chapel reared itself up before him. He knew it. It had been destroyed long before he was born, but he had read of the Chapel of Thomas à Becket. Henry II had built it after Becket was martyred at Canterbury. It had stood at the midpoint of the medieval London Bridge. Pilgrims had come here to begin their procession to Canterbury. He passed inside, where the fog light barely penetrated. It was an empty, barn like structure, full of echoes, looking long deserted. He could see tall windows, devoid of glass, and the half timbers up high where some light penetrated, but the ground level was close to complete darkness. There was anger in the voice that rang around them. “You wrote the coward Jekyll. You gave him the elixir that would let him destroy me. I sat on your shoulder in your mind and watched you write those first words, then I took over the story. 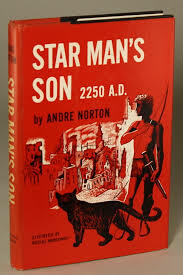 “You wrote Treasure Island with its prissy squire and its self-certain doctor and its self-centered child actor. I wrote Jekyll and Hyde through your hand and against your will. I am your pride and your lust. I am the fire that lives inside you. I am the one whom you repressed when you agreed to help with the building of the Great Clock. I am the part of you which regrets what we did. And then Balfour — or call him Stevenson — was alone. And not alone. This entry was posted in A Writing Life and tagged literature, science fiction, steampunk, time travel, writing on October 31, 2018 by sydlogsdon. These events occur some days later than last post. Balfour has returned to Inner London, where he encountered the assailant who gave him the idea of the nemesis. It is a story fit for Halloween, and it is continued on Wednesday. The fog had moved lower. Now the tops of the tenements and deserted warehouses were all lost in quavering masses of shapeless gray. Balfour passed through populated areas to empty stretches, and back again. The ragged men eyed him warily and drew back. The old women did the same. The brash young women chaffed him, and offered him comforts he did not want. This was the land of the nemesis. Balfour did not expect to see a dead man emerge from the fog, but he hoped to better understand his fictional nemesis by walking where the real man had walked. A woman in a low cut dress, sour smelling and unwashed, threw herself on him, brushing her face against his shoulder as her hand slipped inside his coat to take his wallet. He pushed her aside; she snarled, cat-like, and called him foul names. A man moved in as if to aid her. He was lean and hard, in stained waistcoat and greasy trousers. Balfour raised his cane and snarled back. The man retreated. Fear had come into his eyes. As if Balfour were the nemesis. The fog had come down to the street now. No one accosted him further. He could hear voices in the fog, and the whispers seemed to warn everyone back from him. It was strange to be feared, and yet familiar. Balfour continued on his way, now tapping the cobblestones with his stick. He veered from gutter to gutter like a drunken man, but his senses had never been more alert. There he came for the first time to the ruined Bridge of London. Of all the dozens of bridges spanning the Thames, only London Bridge had become a household word outside the city. The moment it loomed out of the fog, Balfour recognized it. And yet . . . The Great Clock had turned time into an Ouroboros worm. The people of London had worked with the Clock to make it so. In fear of death, they had turned their backs on the future and whittled Time down to a single repeating Year. No one considered that these actions might have jumbled history in the process, yet here was London Bridge, not as it had been in the unmodified 1850 and not as it had been in medieval times, but a scraggly combination of both. Of all the people in either London, only Balfour would have recognized the discontinuity. He lived in the rolling present of necessity and in the past because his work as a writer took him there, so he was probably the only man in either London who could look at this iteration of the bridge, and know that it was strange. This was a bridge of steel and stone as it should have been in 1850, but on its margins were medieval houses now gone to rot. It was something that had never existed in reality, but such a bridge as might have been imagined in novels of gothic horror. The fog had thickened even further. Turrets and dormers, and dark gaping eyeholes of absent windows wandered in and out of visibility. It had to be nearly midnight, and that made Balfour smile. It was always midnight in gothic novels, so why not here and now? The cold had deepened. A thin layer of snow crunched under his feet. There was still some light, as if a full moon rode high above the fog. It was never fully dark in London, and that was another wrong thing that Balfour had never noticed before. In deepest night, every night, whatever the phase of the absent moon, the dome of fog glowed with faint light. A poor illusion, but good enough for the incurious who lived beneath it. Balfour was sick of illusions. He had come to Inner London tonight partly to ask about the absence of a world beyond London, and the nemesis that lived in his mind had seduced him into seeking out the dark streets where he made his home. Still, his footsteps had led him to this passage outward toward a world beyond the fog, and he was determined to take it. This entry was posted in A Writing Life and tagged literature, science fiction, steampunk, time travel, writing on October 29, 2018 by sydlogsdon. I introduced you to Balfour two weeks ago. 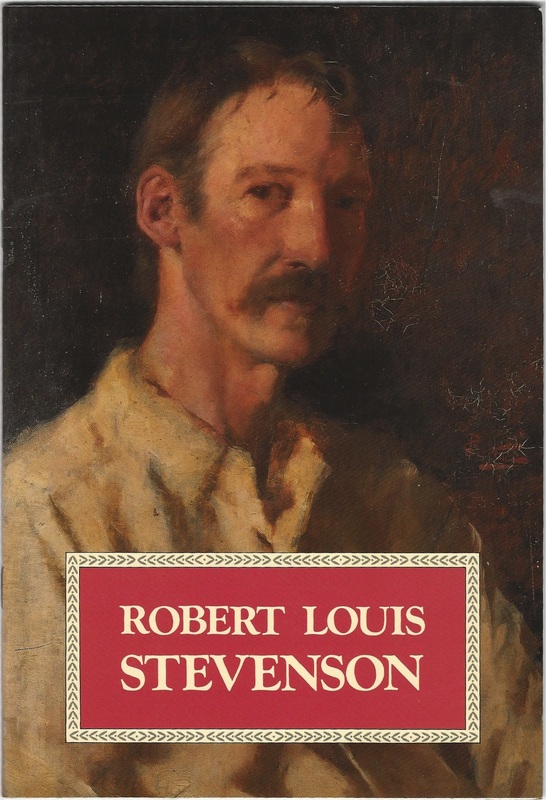 He is, and is not, Robert Louis Stevenson. I don’t plan to explain that here; you’ll just have to read the book when it comes out. Writers write about writing. It’s inevitable. I have mostly avoided the temptation, but it finally got to me through Balfour. This — somewhat modified to remove references that wouldn’t make sense without context — is Balfour struggling with inspiration. Balfour got out of bed and went to his desk without bothering to dress. He took paper and pen, and stared out his window at the street below. Everyone in Outer London was going to work. He watched them for a moment, caught up in the novelty of a daily scene he was rarely awake in time to see, but then his eyes moved back to the blank page before him. An hour later, the page was still blank when he rose to make tea and put on his clothing. It didn’t bother him. There was not one scratch on the pristine paper, but he was weary already with the work he had done. There weren’t any words — yet. Words would come later. There were not even concepts yet, only inchoate pictures moving behind his eyes. No matter. He had been here before, and he had faith in the process which he had begun. The pictures would sharpen, the concepts would explain themselves to him, and then, finally, the words would come. Most of the early words would be discarded anyway, but that was all right too. It didn’t matter how long it would take, as long as the journey had begun. And it had. Again. And it had been so long. It was like filling his lungs with air again, after being trapped underwater until he thought he would not survive. Breathing again, after thinking so long that he would never breathe again. He was hungry for food, but hungrier still to continue working. 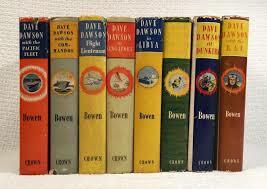 He sat the cup of tea on the table beside the still pristine paper and took up his pen. After a while, he put the pen down again and sipped, then took it up again. If you had asked him later where the tea went, he could not have told you. He stared out the window as the day unfolded. If you asked him later who had walked by on the street below, he could not have told you. It will not be the story of an event. It will be the story of a man. For now, just call him the nemesis. There was a picture in Balfour’s head. It was mostly the ruffian he had met last night, although he had already begun to morph into something universal. The picture was clear in Balfour’s mind, but he could not write it yet. It was not wrong, but it was incomplete. His pen moved across the page and he tried a few lines, then impatiently scratched them out. Balfour stared at the picture in his head and it became more fearsome. The eyes became blacker; the soul became blacker. The creature’s hands moved. They were powerful, like Snap’s hands were, but these were not the hands of a builder. These were the hands of a destroyer. Looking at the picture in his mind, he knew that he should feel fear. But he didn’t — yet. The picture was fearsome, but it was only a picture. Until Balfour could understand this nemesis, dive deep into his soul and find the source of his anger, his writing would be superficial. Until he knew this creature well enough to actually fear him, he could not do him justice. But how do you learn fear? Where do you search for it? In memory. Yet in the clean, ordinariness of Outer London, there was no room for fear, and little enough room for memory. Poor Balfour. He doesn’t know that he has already written the story he is struggling with, in the Before, when he was actually RLS. If that seems confusing, hang on. There are two more posts coming, which will carry us to Halloween. This entry was posted in A Writing Life and tagged literature, science fiction, steampunk, time travel, writing on October 24, 2018 by sydlogsdon. I suppose there are writers who finish a first draft and move on to the next book. Louis L’amour was like that; you can tell from his goofs. There will be a statement in chapter three that is flatly contradicted by another statement a few chapters later. It’s the kind of thing that even a cursory second reading would have caught. For the rest of us, there are always bits left on the cutting room floor. In my case, whole novels worth, but I’m probably extreme. One thing I like about computers is that when inspiration strikes, you can write down an unrelated paragraph or two right in the middle of the chapter you are working on, and then go back to what you were doing before. Maybe put it in bold to catch the eye. Later, at leisure, you can retrieve it. I do that all the time, and with every rereading the bit catches my eye and reminds me to make room for it. Sometimes, no matter how good a bit is, it never gets used. That offends the little voice in my head that says waste not, but there is no help for it. I was revising Like Clockwork today when one of those bits shamed me that I couldn’t find a place to use it. 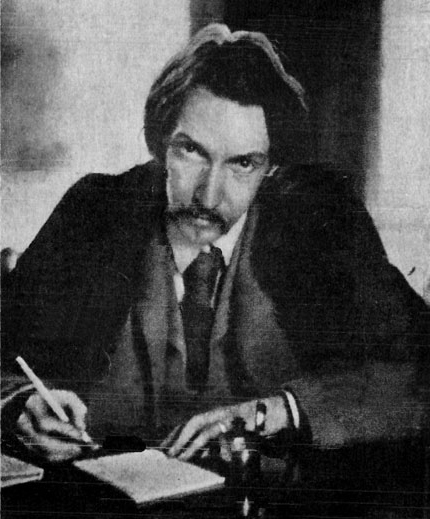 For context, one of my characters, called Balfour, is a kind of ghost of Robert Louis Stevenson. In the bit that will never be used, someone says to Balfour . . .
. . . and Balfour replies . . . 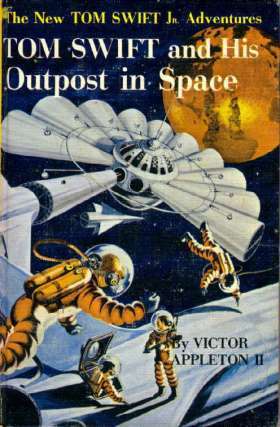 Anyone who writes genre fiction will understand Balfour’s pique at the assumption that he was only a writer of books for children. This entry was posted in A Writing Life and tagged fantasy fiction, memoir, steampunk, writing on October 10, 2018 by sydlogsdon.